Disseminate and share best practices. 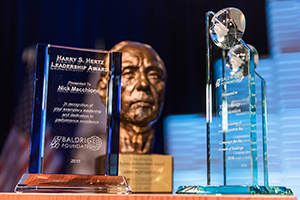 The awards recognize national role models, who then share their best-in-class practices with other organizations via conferences, hosting site-visits, journal articles, and online resources provided by the Baldrige Program and NIST. This framework increases the quality and performance of thousands of organizations nation-wide who otherwise would not benefit from learning about these best-practices. For almost 30 years, Baldrige award recipients have been driving innovation in every sector of the economy. 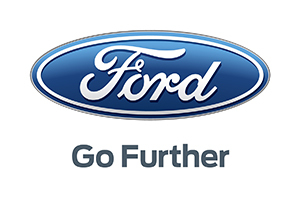 Asian and European manufacturers in the 1970s and early 1980s, most notably Japanese auto and electronics producers, were besting U.S. manufacturers in quality, with an associated drop in U.S. competitiveness in global markets. Individual companies, trade associations, government entities and think tanks began to contemplate how America could re-emphasize quality. The idea of a prize to recognize achievement in the area of Total Quality Management (TQM) had been around for some time. Japan had established the Deming Prize in 1951, recognizing both an individual and an organization for excellence in TQM. In the United States, the National Bureau of Standards (NBS), now the National Institute of Standards and Technology (NIST), was working on new measurement services, and in 1983, President Reagan established the President’s Commission on Industrial Competitiveness. There was also activity in Congress. In early 1986, several members of Congress travelled to Japan and met with, among others, the Japanese Union of Scientists and Engineers, the organization administering the Deming Prize. Later that year, Congressman Dan Fuqua introduced a bill to establish a National Quality Award. However, Congress failed to take action on that bill and it died with the end of the Congressional session. The following year, the House and the Senate both took up bills to establish a National Quality Award. Both bills stalled, largely over the question of whether such an award should be a government or a private initiative. At the same time, NBS continued its work on what it called “Process and Quality Control.” Congress became aware of NBS’ work, and the idea surfaced that NBS should administer a national quality award should Congress establish it. Still, there was little hope the bills would move in Congress. Then, on July 25, 1987, tragedy struck, providing a rallying point for supporters. Secretary of Commerce Malcolm Baldrige, a lifelong rodeo cowboy, died in a rodeo accident. Congress agreed to rename the national quality award to honor the fallen Secretary of Commerce, and in short order, the bill passed in both Houses. President Reagan signed Public Law 100-107, the “Malcolm Baldrige National Quality Improvement Act of 1987” on August 20th. 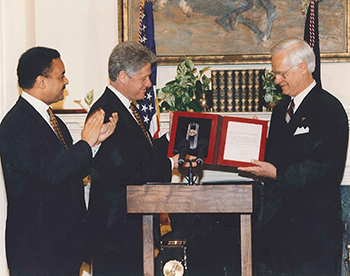 President Bill Clinton and Commerce Secretary Ron Brown (left) present the 1995 Baldrige National Quality Award to Henry A. Bradshaw, President, Worldwide Building Products Operations, Armstrong World Industries, Inc.
With the passage of the law, the clock started. 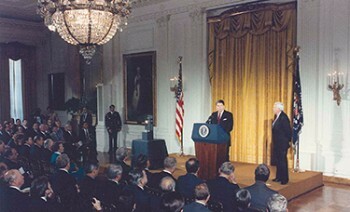 The goal was to have President Reagan present the first-year recipient organizations with their awards sometime in November of 1988. The new law put NBS in charge of the award program, the team at NBS had only 14 months to design the program and fully implement it. The plan called for the basic criteria and the applications to be available on February 15, 1988. Organizations wishing to apply had until May 20th to submit completed applications. Application reviews and site visits would be conducted from June through September. Building on work already underway, NBS needed to formalize the criteria on which the award was to be based, establish the application and assessment procedures and build the volunteer infrastructure that would support the new enterprise. The law also established a Board of Overseers for the award, charged with reviewing and making recommendations on an annual basis regarding the operations of the award program. At the same time NBS was developing the Criteria for Performance Excellence, it was working with corporate executives and quality experts to identify, recruit and train what totaled to be 123 volunteer examiners for the first year. The examiners would review the written award applications and conduct the site visits of contending organizations. NBS also had to recruit and seat a panel of judges. NBS believed strongly that there should be a separation between the scoring and the final determination of winning organizations. The examiners were responsible for scoring, with senior examiners leading teams to ensure consensus scoring and to control for measurement variability. The Panel of Judges would make the final determination of the award recipients. 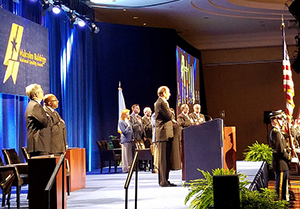 The need to fund many of these efforts drove the establishment of another important Baldrige institution: the Foundation for the Malcolm Baldrige National Quality Award. The law gave the Secretary of Commerce authority to accept private funds to operate the Baldrige Performance Excellence Program. The Baldrige Foundation was established as the vehicle by which private funds could be raised and managed. 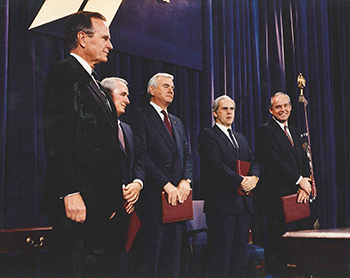 President Reagan announced the first Malcolm Baldrige National Quality Award recipients at a White House Ceremony on November 14, 1988. There were three recipients that first year. Motorola, Inc. and Westinghouse Electric Corporation Commercial Nuclear Fuel Division both received awards in the Manufacturing category. Globe Metallurgical Inc., now known as Globe Specialty Metals, Inc., received the award in the Small Business category. There have been substantial changes and great successes between that first ceremony and the 29th Quest for Excellence Conference which took place in 2017. The original law authorized the award for small businesses, larger companies and their subsidiaries, and companies which primarily provide services. In 1998, President Bill Clinton signed into law an expansion of the authorized categories to include health care and education, and in 2005, a nonprofit category was also added. 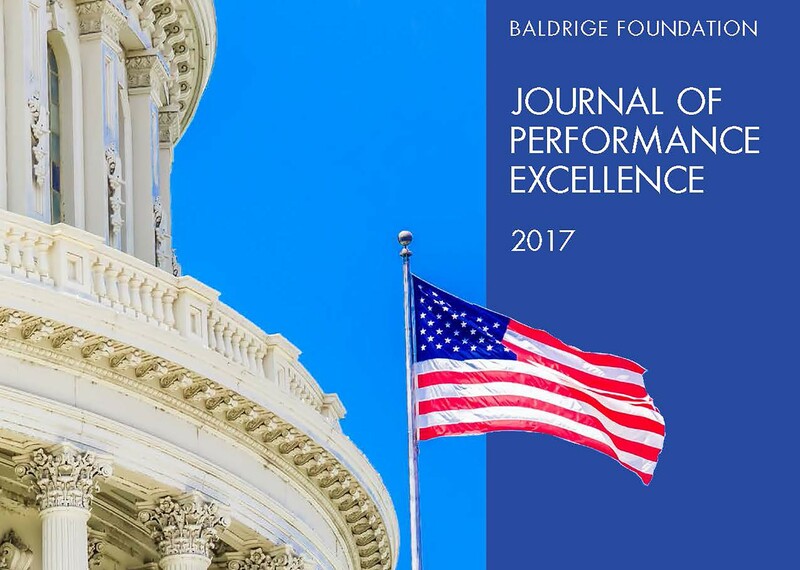 1998 also saw for the first time a federal appropriation to operate the Baldrige Performance Excellence Program. Federal funding continued until the effects of sequestration in 2011 so heightened the competition for public dollars that Baldrige funding was abruptly eliminated from the budget. During those 29 years there have been 118 recipients of the Baldrige National Quality Award. And the value of the Baldrige process, which was first taken as an article of faith when the program started, has now produced significant, quantifiable, and measured return on investment. One such study completed in 2011, found that the return on investment for the money spent to operate the Baldrige Performance Excellence Program to economic benefit has a ratio of 820:1. Those returns are measured in greater efficiency, less waste, more jobs created, increased customer and employee satisfaction, and economic growth. 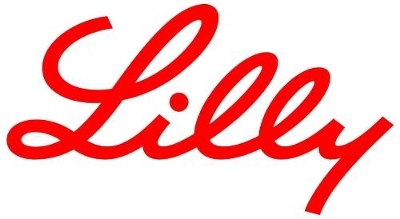 Other studies in health care and education have demonstrated that Baldrige-based organizations significantly outperform their non-Baldrige peer organizations in virtually all critical measurements, including, in the health care field, the cost of care, the availability of care, errors, complications and fatality rates. In education, graduation rates rise, dropout rates decrease, and student performance across numerous measures increases as organizations mature using the Baldrige Framework. 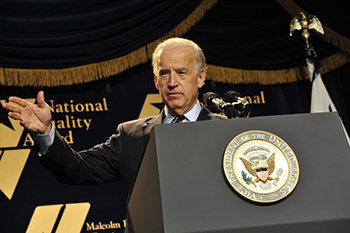 Vice President Joe Biden presides at the 2008 Baldrige National Quality Award ceremony, April 2009. More recently, Baldrige has once again proven its relevance and ability to adapt to contemporary needs with its development of a Cybersecurity Framework and the new Communities of Excellence initiative. Working with the private sector, the Baldrige Program and Foundation have worked together to develop and promote a Cybersecurity tool called the Baldrige Cybersecurity Excellence Builder. This new tool leverages NIST’s Cybersecurity Framework, to help organizations self-assess their cybersecurity infrastructure and processes to identify gaps, and strengthen their cyber resilience across the organization. 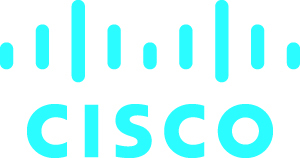 The eventual goal will be to have a full Cybersecurity Framework, train examiners using a case study, conduct assessments, and recognize best-in-class processes and performance during an annual conference. For a more extended look at the founding and development of the Baldrige Enterprise, click here.